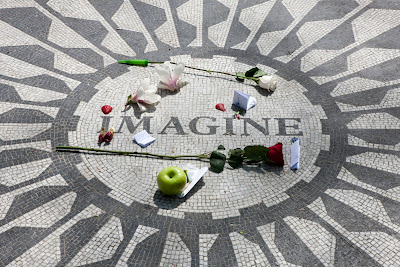 On this day in 1980, John Lennon was shot five times by 25 year old Mark Chapman outside the Dakota building in New York City where John and Yoko Ono lived. Chapman had been stalking Lennon for days outside the Dakota apartments and asked for an autograph as Lennon walked through the courtyard. As he signed a piece of paper Chapman opened fire. Lennon was pronounced dead from a massive loss of blood at 11.30pm. This video was released a few weeks later.